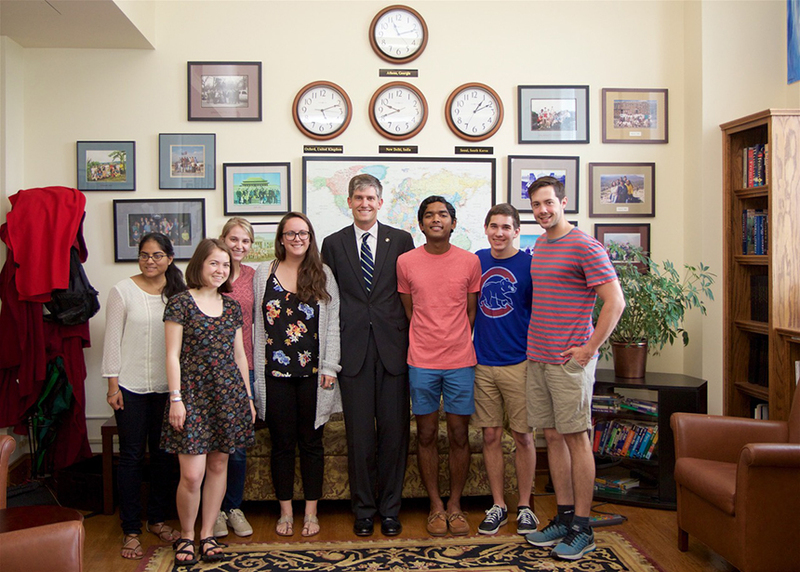 Stamps Scholars at the University of Georgia are selected from among the university’s Foundation Fellows. Founded in 1972 by the University of Georgia Foundation’s trustees, the Foundation Fellowship is the University’s foremost undergraduate scholarship. The program places students in a community of similarly dedicated scholars and offers a stipend that approximates the cost of attendance, a post-first-year Maymester study abroad program at Oxford University, individual travel-study grants, spring group travel-study, research and academic conference grants, discussions and workshops with some of the University’s best minds, and a mentoring plan that matches Fellows with professors who share their interests. Beyond the obvious scholastic benefits, the Fellows program emphasizes fellowship, sharing of resources and ideas, and lifelong friendships. Peer mentoring (Big and Little Fellows), dinner-seminars and book discussions, cultural events, group travel, the Fellows Library in Moore College, and twice-a-year off-campus retreats promote a sense of community among the Fellows. They quickly find themselves at home on campus within a close-knit group of scholars, and through extensive travel, they extend that experience to include global communities. The Foundation Fellowship looks for students who meet a very high academic threshold. Beyond that, the program seeks students who are leaders in their schools and communities, who possess special artistic, athletic, and other talents, who demonstrate intense intellectual curiosity about the world around them, and who possess a commitment to share their knowledge and gifts. The application deadline falls in early November each year. The Foundation Fellows office, housed within the UGA Honors Program, works with Honors Program and UGA Admissions recruiters to identify talented students and to encourage them to apply for the scholarship. More than 1100 applications were submitted by top students from around the nation, and all were among the very best at their respective schools. Applicants are notified as to whether or not they were finalists for a Fellowship by late January. Finalists are invited to the Foundation Fellows Interview Weekend in late February and are interviewed by panels that includ distinguished UGA administrators, faculty, alumni, and trustees. They participate in faculty-led seminars, social gatherings with current Fellows and program alumni. Finalists who are selected to receive the Fellowship are notified immediately after the Interview Weekend. They are invited back to campus to visit with current students and attend seminars with faculty. In-state students receive (along with the Zell Miller Tuition Scholarship) an annual stipend that approximates the cost of attendance. Out-of-state students receive (along with out-of-state tuition waivers) an annual stipend that approximates the cost of attendance. In addition to fully funded group travel-study experiences, including a Maymester study abroad at Oxford University and three spring trips (to destinations such as Bali, Tanzania, Morocco, South Korea, South Africa, Costa Rica, and Uruguay), Fellows also receive individual travel grants and funding for independent research and academic conference attendance. The Foundation Fellows are a part of UGA’s academically rigorous Honors Program and participate in program events throughout the academic year, such as dinner seminars in the homes of faculty and special meetings with distinguished visiting speakers. Senior faculty and current Fellows serve as mentors for the new Fellows. Complementing the Stamps Scholar experience is UGA’s Honors Program, one of the oldest and most respected programs in the country. 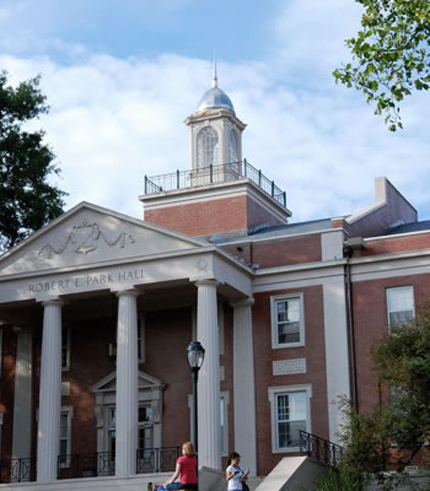 The program provides some 2,500 students with the resources to make the most of their higher education experience – including 300 Honors classes a year with an average class size of 17 students, expert advice from Honors and faculty advisors, independent research opportunities, mentoring, internships, lunchbox lectures and book discussions with faculty, and the Myers Hall residential community. Honors students may participate in graduate courses and pursue a curriculum leading to combined bachelor’s/master’s degrees in only four years. Through the Center for Undergraduate Research Opportunities (CURO), students work with faculty on projects that allow them to reach beyond classroom learning and give them important research-related experience to demonstrate their passion to admissions staff at graduate or professional schools. Undergraduate research opportunities abound across the curriculum, from laboratory and social sciences to humanities and fine arts. 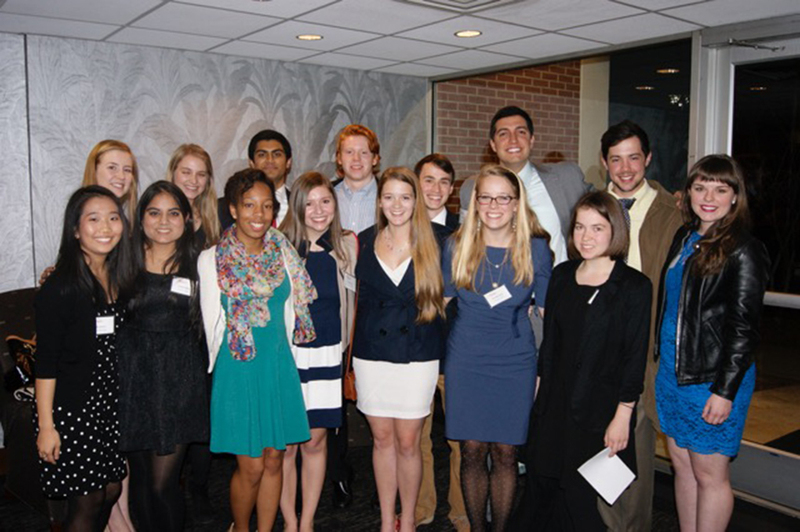 The Honors Program affords numerous opportunities for local, national, and global civic engagement and career development – including internship placements in Washington, New York, and Savannah; the Roosevelt Institution, a student-run think tank; the Corsair Society, which mentors undergraduates pursuing banking and finance and management consulting careers; the Atlas Business Society; MATHCOUNTS Outreach at UGA; PromoteAfrica; Association of Women in Science; Mock Trial; and the Thomas Lay After-School Mentoring Program. Among the on-campus benefits provided to Fellows is access to Honors staff members, including the Major Scholarships Coordinator, who provides important counsel for a variety of pursuits – including drafting personal statements, resumes, and cover letters for job, scholarship, and postgraduate study applications.